Guitar and pickup not included! 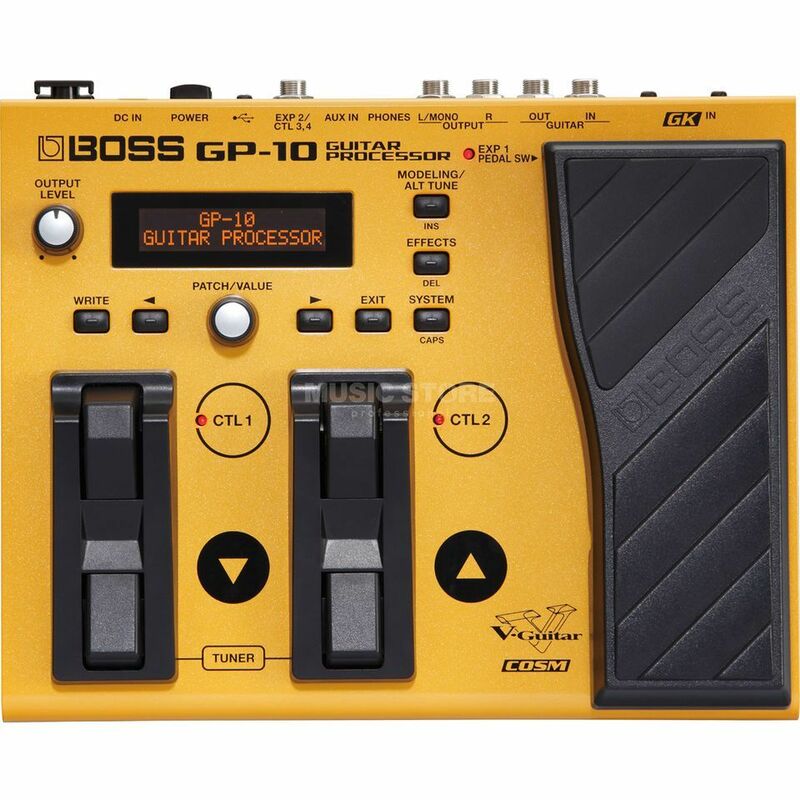 The Boss GP-10 contains an entire universe of amazing sounds and tunings – all in one compact, easy to use stompbox. With the included GK pickup mounted to your guitar, the GP-10 delivers numerous classic electric and acoustic guitar and bass sounds, as well as modelled analogue synths, including those of the legendary Roland GR-300. But that’s not all: The Boss GP-10GK makes it very simple to adopt different tunings, including very popular drop tunings as well as12-string sounds and “Down” tunings, which are often used in today’s Alternative and Metal scenes. The GP-10 is a fully equipped multi-effect for GK and normal pickups with a large range of COSM amps and effects for live performance as well as studio recording sessions. In addition, the USB interface allows the GP-10, in connection with a computer, to record directly with your favourite DAW software. The freshly developed guitar to MIDI function additionally expands the creative potential through the use of software synths.